Put your roofing job in our hands. As an Owens Corning Preferred Contractor, we’ll give your family the protection they deserve with a roof that will last for years. 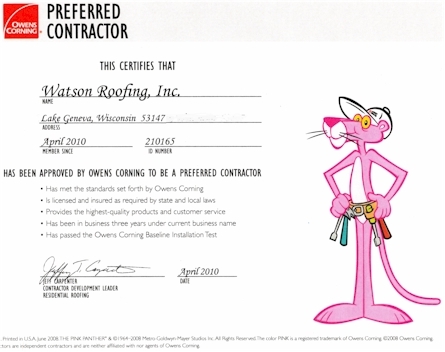 Only the best roofers get to be Owens Corning Preferred Contractors. Watson Roofing, Inc. "Let Tom Do It"